FAVOB Legistlative Breakfast – Fri. Nov 9 – Hosted by Florida Association of Veteran Owned Businesses. Let your voice and concerns be heard. Speak with our local State and Congressional representatives in a Town Hall-style breakfast gathering to discuss Veteran Owned Small Business Initiatives. The event includes a sit-down plated breakfast at the exquisite Citrus Club in Downtown Orlando. Parking in the Citrus Club garage will be validated. 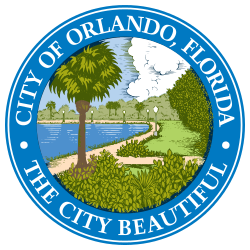 7:30am – 10am at The Citrus Club, 255 S. Orange Avenue, Suite 1800, Orlando, FL32801. $25 for FAVOB Members and $30 for Non-FAVOB members. www.favob.net/ events Buy tickets online at eventbrite. See Facebook. Copyright 2019, Public Defender, Ninth Judicial Circuit. The material found on this web site is for informational purposes only. It should not be considered to be legal advice and is not guaranteed to be complete or up to date. Use of this web site is not intended to create, nor constitute, an attorney-client relationship. Readers should not rely upon or act upon this information without seeking professional counsel.